X-COSTUME is a top brand costume items supplier, focus on costume dress, cloth, shoes, wig, mask and accessories. 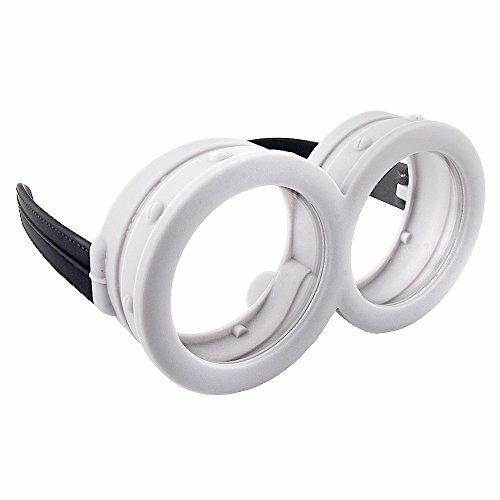 Our goal is to realize your cosplay dream in novel world at your acceptable cost. 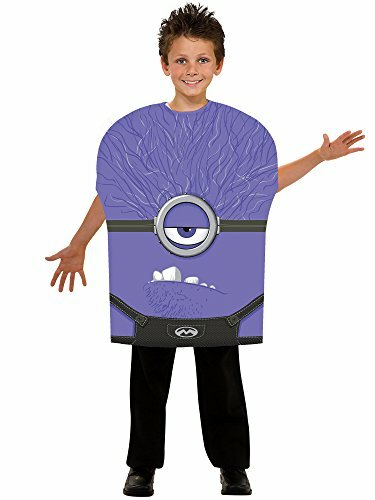 Halloween Dress Up Description ▶ 2018 New Halloween Children's Evil Minion Purple Characters for Unisex Child/Boys/Girls(Age 3-8 Years) ▶ Safety Materials: 100% Polyester, Eco-Friendly to People's Skin (A Standard), Breathable & Nontoxic. ▶ Occasion: Halloween Night Party, Masquerade Party, Chirstmas Party, Play dress-up fun, Costume party, Cosplay Party, Homeware. Size Clarification: ✔ S：Chest:24.96inch / Waist:22.26 inch /Pants Length:39 inch ✔ M：Chest:27.3 inch / Waist:24.96 inch /Pants Length:40.95 inch ✔ L：Chest:29.64 inch / Waist:27.3 inch /Pants Length:42.9 inch Tips:If you have any problem,please contact us.We are glad to communicate with you. Please be reminded that due to lighting effects and monitor's brightness/contrast settings etc, the color tone of the website's photo and the actual item could be slightly different. 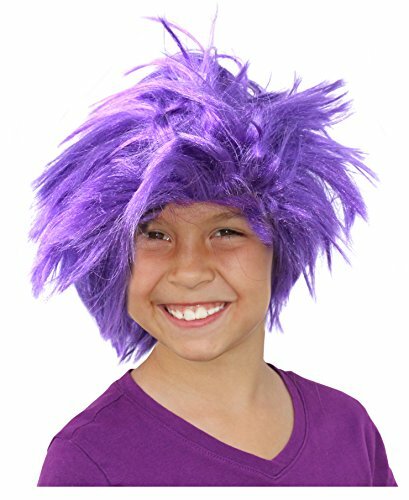 ONE FUN PURPLE FRIZZY AFRO WIG Have fun dressing up as your favorite characters. 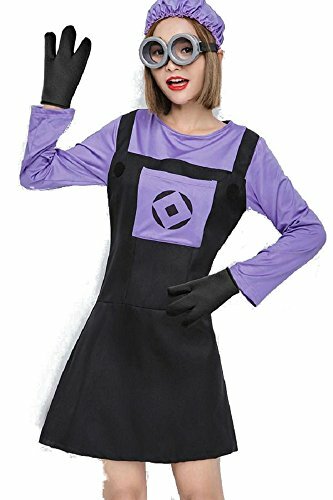 This purple wig makes the ideal Evil Minion Costume Wig, Fear Costume Wig, Purple Troll Costume Wig, Clown Costume Wig or any character that requires a fun purple wig. 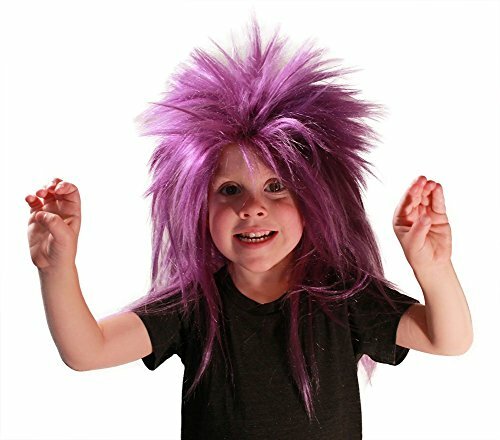 This colorful and playful afro friz style wigs are one size fits all and fit both kids and adults. 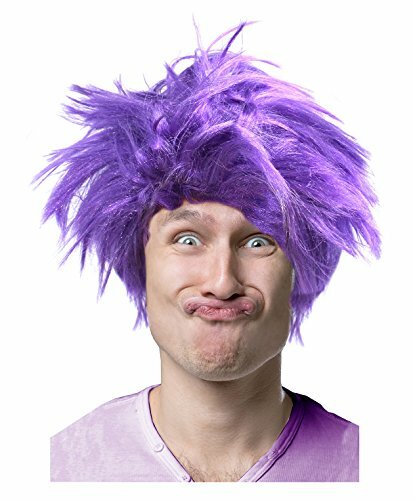 These fun wigs make a great Afro Wig, Clown wig, Purple Minion Wig, sport fans wig and more. 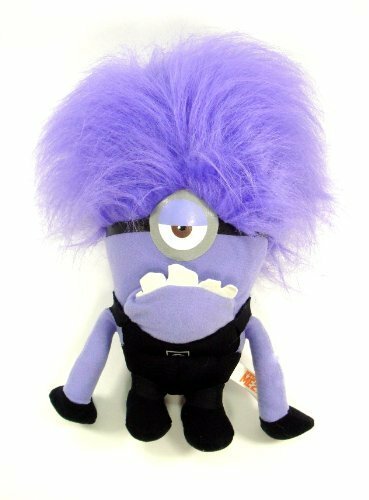 ONE FUN PURPLE FRIZZY CHARACTER COSTUME WIG This fun purple afro wig makes the ideal purple minion costume wig, fear costume wig or a fun troll wig. 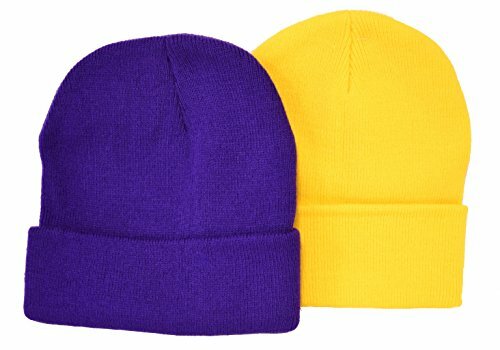 Comes with a frizzy afro wig design that can be easily styled right out of the package. 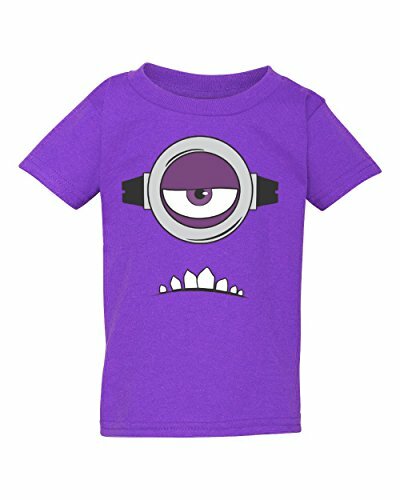 One size fits all for both adults and kids ages 4 and up. 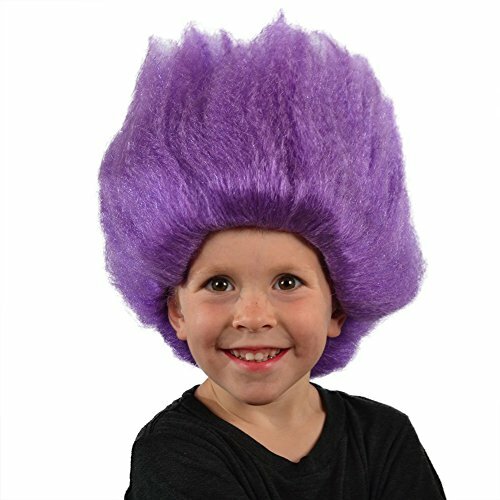 This fun wig can be worn as a purple minion costume wig (better know as the evil minion), a fear costume wig, a troll costume wig, clown costume wig or any fun and creative costume ideas. 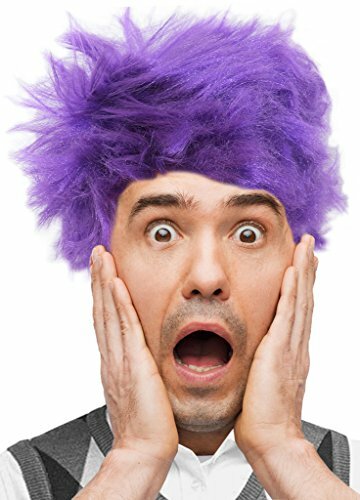 The Original Purple Troll Wig. 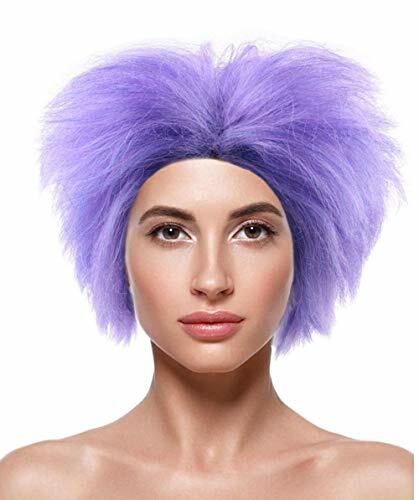 ONE PURPLE FRIZZ CHARACTER COSTUME WIG This purple afro friz wig is the ideal character costume wig, Evil Minions or any of your favorite characters requiring a purple wig. 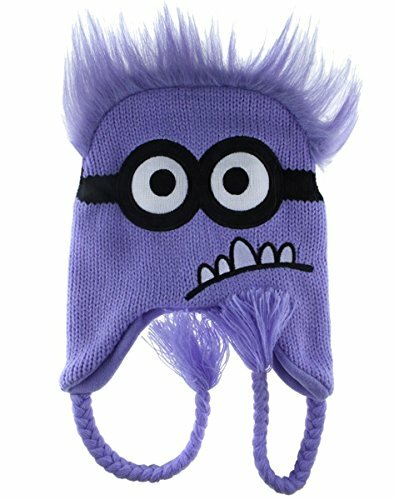 Makes a nice addition to any Fear Costume, Troll Costume, Purple Minion Costume or any character that need a fun purple wig. 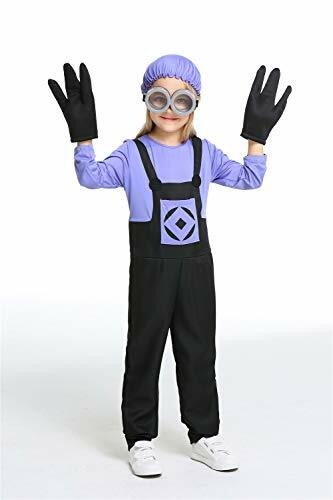 One size fits most kids ages 5 and up including adults. For a fun group costume idea purchase more then 1 to dress up as evil minions or troll dolls. 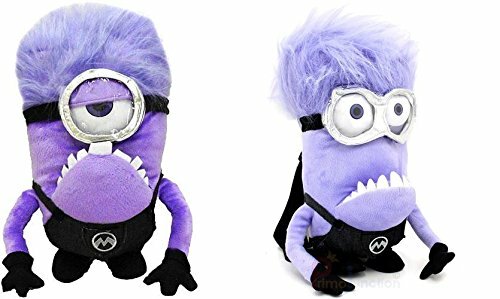 EVIL ONE EYED MINION 10 INCH PLUSH FROM THE DESPICABLE ME 2 MOVIE.